The first surprise on opening this continuation of A Nation Under Our Feet is to notice artist Brian Stelfreeze, whose work was the best element of book one, has been replaced by Chris Sprouse, also excellent, but with a very different style. That first volume was almost the text book representation of the road to hell being paved with good intentions. It was so earnest, so determined to address so many social and cultural issues, that no consideration was given to any entertainment value, and it minimised the Black Panther himself. Sadly, not much has changed. 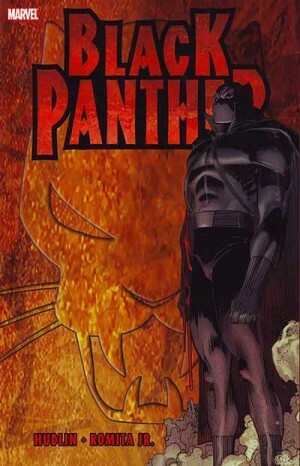 The major difference is the Panther now taking the centre stage. As the book opens he’s aware revolution is fermenting in his kingdom of Wakanda, but despite a series of hit and run raids on rebel strongholds he’s no closer to addressing the core problem. 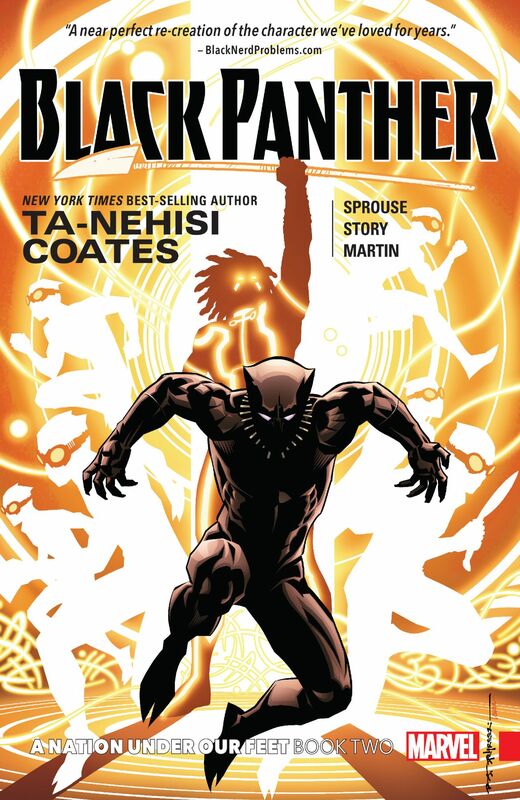 Ta-Nehisi Coates introduces several novel ideas in the way the Panther looks to solve matters, for instance a consultative conclave of the methods used by those who rule their countries with an iron fist. The manner in which this is later exploited is also good, but it’s among so much that’s tedious, Coates having the Panther philosophise and extemporise in minute detail. 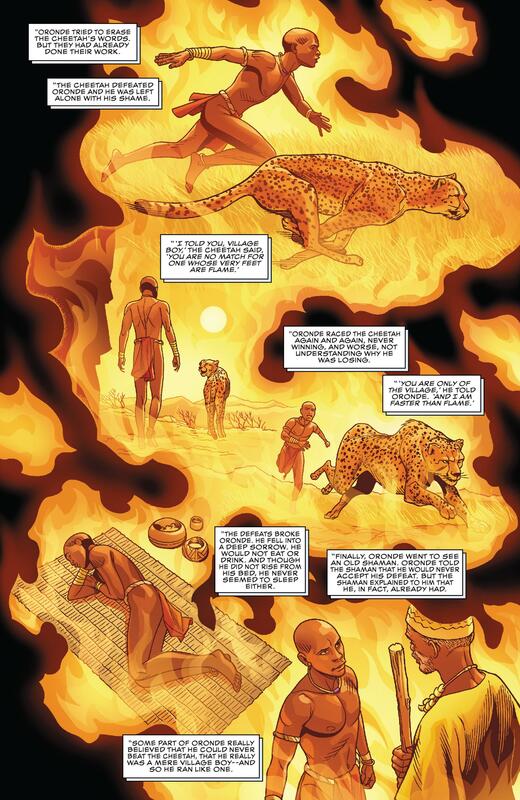 This is contrasted with the exploits of the Dora Milaje, once the Panther’s female protectors, now with independent ideas, T’Challa’s sister Shuri wandering the spirit world, and Tetu the revolutionary. The constant switching between three locations, with very little of note happening beyond continual homilies isn’t the smoothest ride. If there’s a scene that exemplifies everything that’s wrong with Coates’ version of the Black Panther it’s toward the midway point as the Panther infiltrates the villain’s headquarters. Scenes of him bypassing obstacles are overlaid with a monologue. The intention may be to display the Panther’s mind is elsewhere, to accentuate the beliefs he holds dear, or to express that actions speak louder than words, but it comes across as dreary and unnecessary rambling. 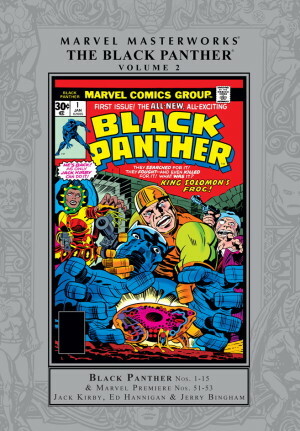 Such was Marvel’s faith in what Coates was doing that two spin-off titles were fast-tracked, World of Wakanda and Black Panther & the Crew. 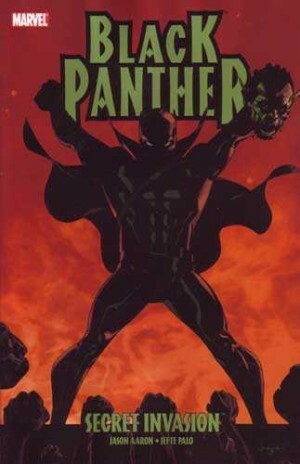 The latter consisted of African-American superheroes Luke Cage, Misty Knight, Manifold and Storm, and they’re introduced here as the rapid response solution to one of the issues plaguing the Panther. They’re a forced union, all the more so for T’Challa’s subsequent claim of aesthetics factoring into his choice. Oh to have the pretentious luxury. Sprouse is a very good artist who raises the overall stock considerably, but not one prepared to provide the authentication Stelfreeze did. His locations work, but are more generic, not characterising a kingdom in the same fashion. Everything else works, and to begin with Sprouse sublimates his own methods to approximate the established style, only gradually moving more toward his familiar look. It’s largely in vain, however. There’s a great intelligence infesting A Nation Under Our Feet, but the wonder of a story is in the telling, and this continues to be dull. Will Book Three change anything?